SPring-8 is a large synchrotron radiation facility which delivers the most powerful synchrotron radiation currently available. Consisting of narrow, powerful beams of electromagnetic radiation, synchrotron radiation is produced when electron beams, accelerated to nearly the speed of light, are forced to travel in a curved path by a magnetic field. 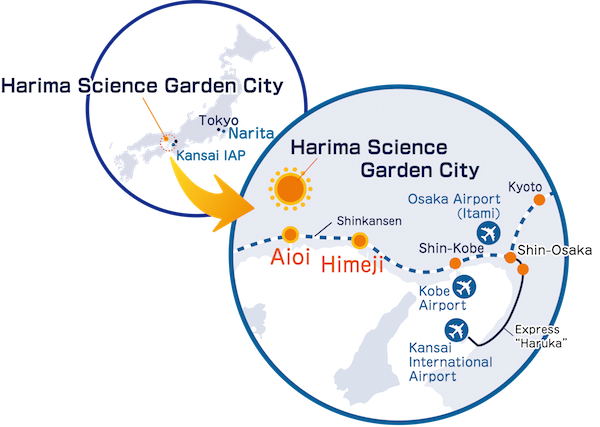 The research conducted at SPring-8, located in Harima Science Park City, Hyogo Prefecture, Japan, includes nanotechnology, biotechnology and industrial applications. 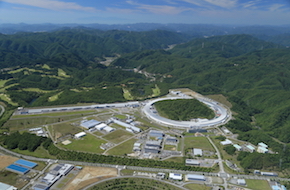 The name "SPring-8" is derived from "Super Photon ring-8 GeV" (8 GeV, or 8 giga electron volts, being the energy of electron beam circulating in the storage ring). SPring-8 was opened in 1997 to users from academia, research institutes, governmental agencies and industry, domestic and international. Any user whose application is accepted may use the facility.